When your clients see the images and they say, "I was so cold and felt hideous, how am I so in love with these?" One of the BEST parts of my job is giving people something they'll love, forever! It makes my heart SO happy. These two are seriously amazing for fighting off the freezing wind and rocking this shoot. 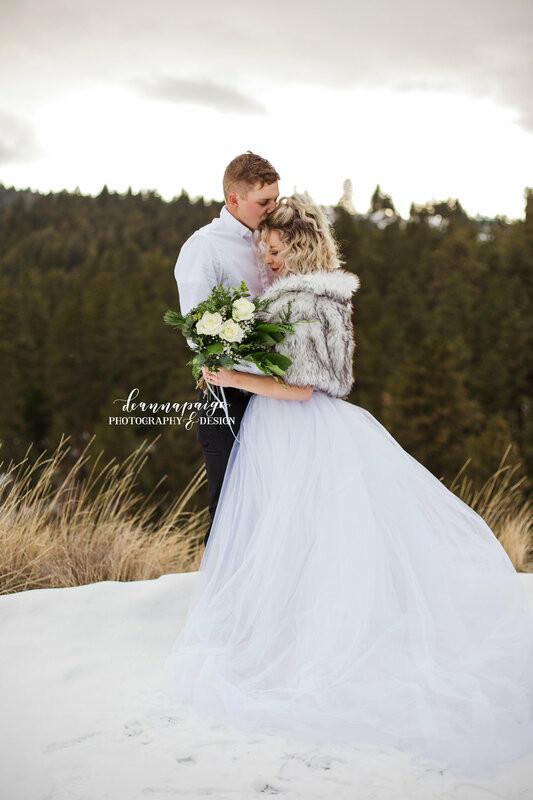 I'd planned on this Christmas shoot for a while I planned the hints of red and we'd even planned on using a fog machine to create so unique shots all we needed was snow! So we waited, and waited for it to snow it was FINALLY supposed to snow in the Waha mountains...it didn't. We decided to just go for it and I am so glad that we did! I mean even though it was FREEZING these turned out amazing. When I was working on these images I thought, I could probably make it snow, right? I decided to try it, I was just going to make it snow on my own terms. Well, TA-DA, SNOW! These two have such sweet spirits! 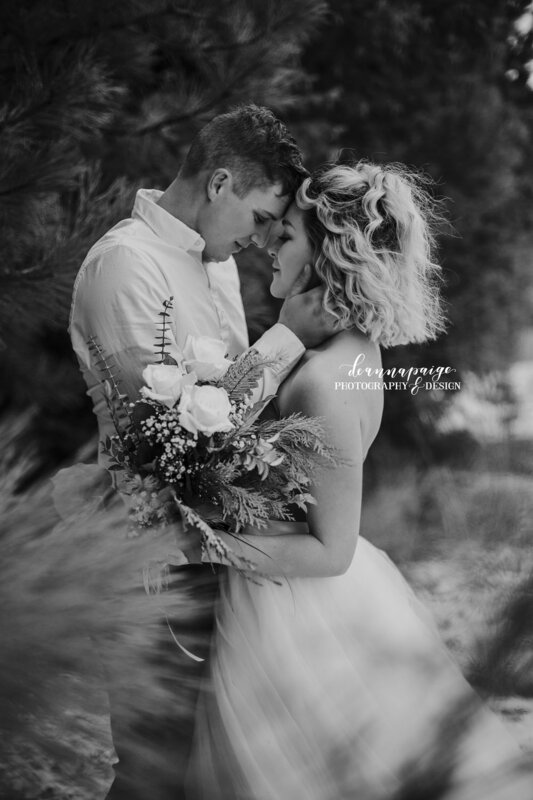 I have photographed tons of couples but honestly these two seriously and truly love another. If Loreal ever really would ask, Garrett would without a doubt "catch a grenade" for her. "Garrett and I met in a bar for the first time-so lame." When he asked for her number she actually gave him a fake one! She had a boyfriend at the time but as fate had it they ran into each other again later down the road. She fell in love almost instantly when they went horseback riding and HE made her dinner on their first date. A year later the "BEST DAY EVER." He asked her to marry him and this is their first year as a married couple. They're always busy for make time for each other and their dreams, which is what this time of year is all about. These two have crazy lives but as Christmas creeps around they'll always cuddle up and quote the entire Grinch movie from start to finish. The holidays are here and hopefully these two remind you that making memories and being together is the perfect way to spend them!